Food and politics seem to be the most frequent subjects I am questioned about in response to my monthly ramblings. Food? Yes. For example, are there good places to eat in Knysna? I mean, can you find pasta in Italy? Knysna, although a small town, is remarkably cosmopolitan in its population and visitors. Amongst the dozens of different and unique places to eat, at least a couple have become destination targets for both locals and internationals. 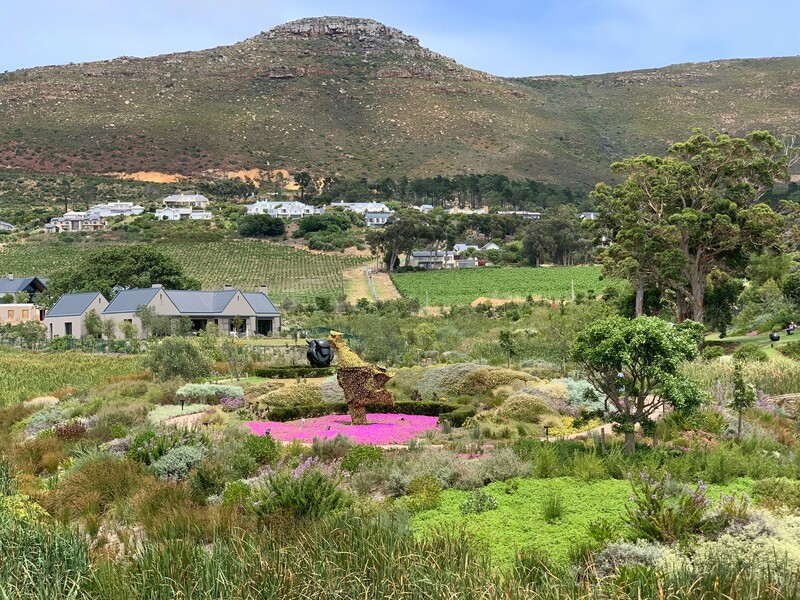 There are usually long lines waiting for tables, or to purchase phenomenal breads and baked goods at il de pain, a café-style restaurant situated on Thesen Islands, specializing since 2002 in distinctive and appetizing breakfasts and lunches and authentic artisanal breads. Partners in life, chef Liezie Mulder, always attractive and cheerful, and European master baker Markus Färbinger, the delightful and charismatic owner, have continued a 300-year-old family artisan tradition of baking. Markus built the first wood-fired oven for bread baking in South Africa, producing rustic breads through slow fermentation and long rising. The result is a wholesome, delicious and unique array of breads, as well as exquisite pastries varying from rustic to refined, delicate to decadent, and chocolate creations beyond description. Moira and I buy fresh baguettes and companio’s daily, and his wonderful challahs on Fridays. It is our favorite place for breakfast and lunch. Our favorite special place for dinner, rated the best restaurant on the garden route, is Le Maquis, a small & relaxed 28 seat “bistronomique” French Restaurant. The charming French couple, Cathy (Executive Chef/Front house) and Rémy (Head Chef) hail originally from Corsica. The ambience, food, presentation and service would match New York, Paris or London. We had a special dinner there two nights before Rebekah returned to Kenyon College in the States and had a perfect meal. Four courses with wine and bottled waters for 5 of us cost me a grand total of $158.00! Unlike my normal control, I could not avoid overeating, my courses including an aromatic baked camembert as a starter, and duck breast for a main. Other choices of places include Butterfly Blu, an idyllic restaurant perched on a dune top high above the horseshoe beach at Brenton on Sea, 10 minutes’ drive from our home, with beautiful panoramic views and a fresh menu created by a Croatian chef; Easthead Cafe at the Knysna Heads where the mountains have split and the ocean pours in to create the Knysna estuary; barely a mile from home is Pembreys, a country style restaurant in an old house serving a Mediterranean cuisine – Peter is a classically trained Cordon Bleu Cook and his wife Viv guards the front of the house presenting the daily cuisine on a chalk board with a warm and proud country charm; Olive Tree Restaurant in town is another dinner favorite where the daily fare is presented on a chalk board. Fresh fish, seafood and oysters? 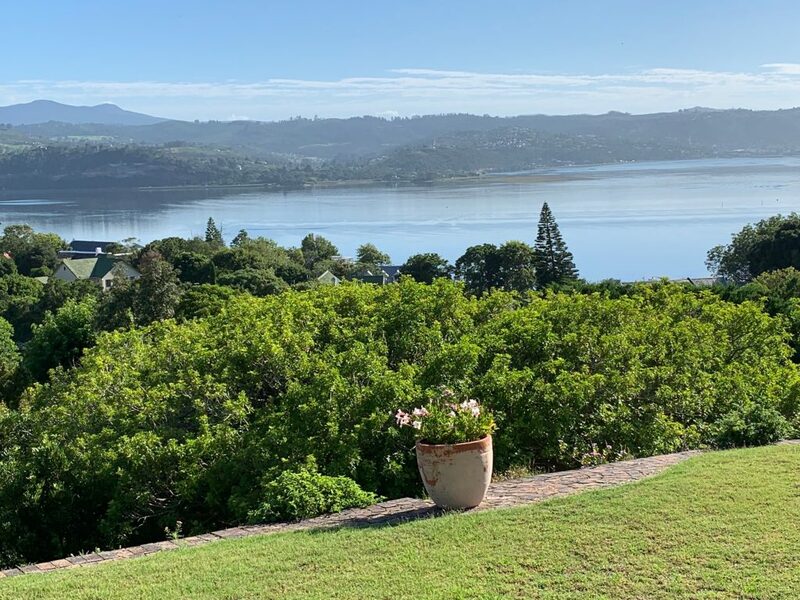 You could not find any better anywhere than at 34 South, home of the Knysna oyster, or at Dry Dock, both waterfront restaurants at the Knysna Quays. Trip Advisor lists over 140 restaurants in Knysna, but perhaps this suffices to respond to the question about places to eat at around here. Do you notice one feature in common? They are all independents – no chains for us here on the Garden Route! For reasons not quite clear to me, I have had a number of news items from the United States forwarded to me about “land grabs” in South Africa, comparing the country to Zimbabwe. Without exception they have been misinformed. South Africa, not unlike other countries including the United States, has a long and disgraceful history of seizing land from indigenous peoples and redistributing to early settlers. Here the history is worse because these seizures continued until the late 1980’s. In addition there are enormous tracts of land that are either government owned, controlled by local tribal chiefs, or privately owned, and which lie absolutely fallow and undeveloped for agricultural or other purposes. Currently the South African Government has a parliamentary commission looking into how these lands can be appropriately utilized, something that might include expropriation without compensation, but in no instance would this apply to currently utilized property, be it commercial, agricultural or urban. Nor is this an attempt to rob whites of land for transfer to black South Africans. The ruling African National Congress (ANC) is targeting land for expropriation while also seeking to provide security of tenure to the 17-million people – a third of South Africa’s population – who reside on tribal lands controlled by traditional leaders. For example, the Ingonyama Trust is a corporate entity established to administer the land traditionally owned by the Zulu people, represented by their king, ostensibly for the benefit, material welfare and social well-being of the Zulu nation, who continue to occupy the land as they historically have done. The Trust owns 29.67% of the land in KwaZulu-Natal, which is equivalent to 28,000 square kilometers, or 10,811 square miles (Reference – Wikipedia). Most of this land lies fallow despite being in areas that would be ripe for agricultural development. Section 25 of the SA Constitution states that no person can be deprived of their land. The current commission is looking into whether this clause can be modified without harm to the person/entity holding title to that land. The South African President Ramaphosa is walking on a knife’s edge as he tries to appease the disadvantaged masses at the same time as he tries to placate the concerns of local and foreign investors. It will be some time before all this gets to final legislation. Moreover there are national elections in May and the ANC is desperately trying to maintain a majority in parliament. Interesting times, here in South Africa. Once again we spent almost 2 weeks in Cape Town, exploring when we were not visiting with Lara, Jack and Max. 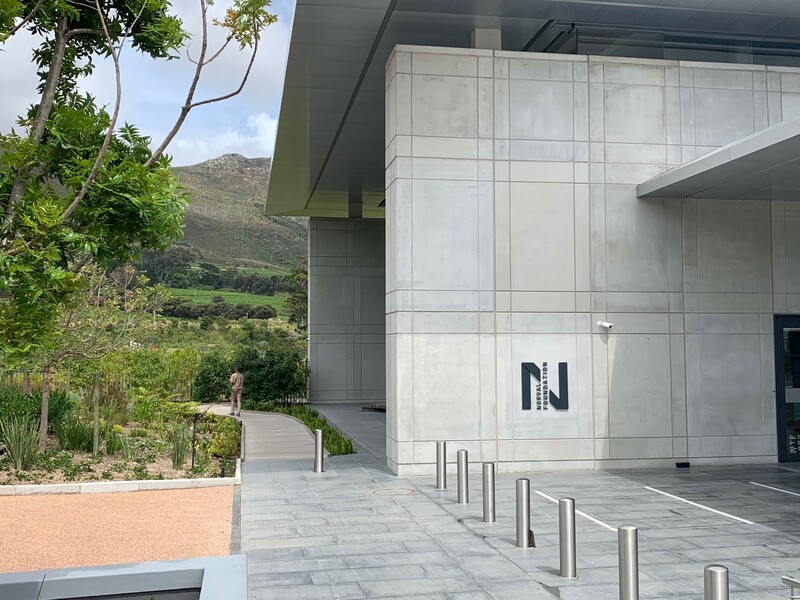 One exciting new find was the Norval Foundation in Steenberg on the edge of the Table Mountain National Park, “dedicated to the research and exhibition of 20th- and 21st-century visual art from South Africa and beyond. Assembled by the Norval family over the past two decades, the Homestead Art Collection is one of the leading 20th-century South African art collections. 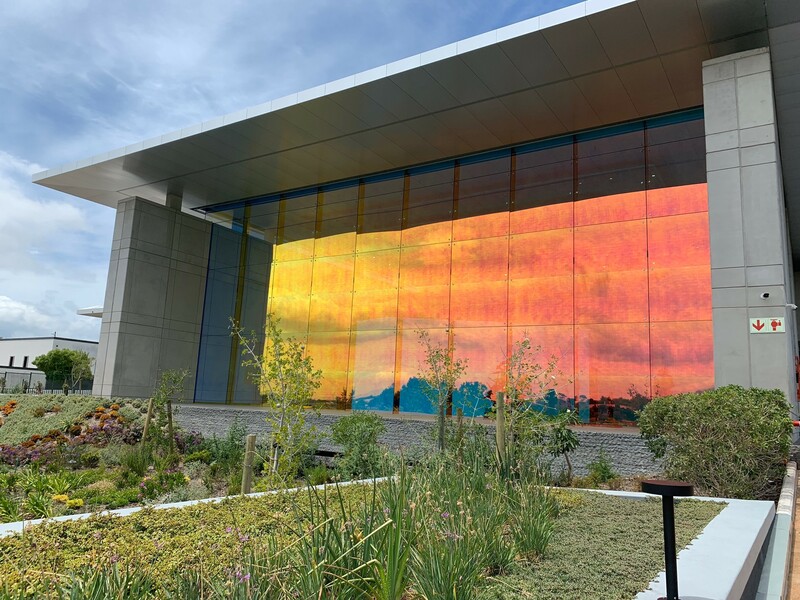 It is committed to an expanded narrative of South African art that includes both African voices and archival materials of established South African modernists.” The setting of the building in magnificent park-like surroundings is breathtaking, and a place for kids to explore and find unusual works of outdoor art. Cape Town has become a world-class art center, and the Norval Foundation can only enhance that reputation. Almost one week was spent seeing a side of Cape Town from a perspective I would have preferred to have missed, the private healthcare system. I was hit like a bullet by a systemic bacterial infection that was so potent it knocked out my white blood cells. I was admitted to the Constantiaberg Mediclinic Private Hospital and placed in reverse isolation, that is to protect me from all the other infections to which I was now so vulnerable. Except for a delay in admission through the Emergency Room, my care was outstanding. The facility was new, spotlessly clean, modern and well fitted. Nursing care was outstanding. Food was like hospital food worldwide and anyway I was so ill I did not eat for the first 3 days. Moira spent most of her day with me, and heard highly positive reports from families of other patients, including a Swiss couple whose father needed urgent surgery. I can still report that the quality of private healthcare in South Africa remains excellent. I cannot comment on the public health system. We of course needed to extend our stay at our favorite hotel in Cape Town, the Alphen in Constantia. In my absence Moira was treated like family by the staff and we can only say good things about them. Belvidere never looked so good on our return, and as I sat on our verandah smelling the fresh air after a heavy summer rainstorm, and watching the clouds scurry over the mountains, I really appreciated feeling well again. The fragility of life is quite scary. Your letter made us think of our visit to South Africa. We could picture many of the places described and for the moment, made us forget about winter. We are glad to know your recovery was quick and full so you can enjoy your beautiful surroundings, home and family. As you know, we visited Rebekah at Kenyon. We were reminded just how remarkable of a young woman she is. She has adapted to college life in the states ( and even to the weather). She certainly is a star. We just returned from Vail celebrating our 40th anniversary, skiing like a couple of kids. We have a couple more trips to Florida to break up the season as well as another short ski trip. We wish you well and look forward to your next blog. Wulf; Always enjoy your letters from Knysna, now with photos, too. Linda has declared she wants to return to S.A. for her big birthday in two years making that our 4th visit. All’s well here in balmy Florida – looking forward to seeing you and Moira back in May.